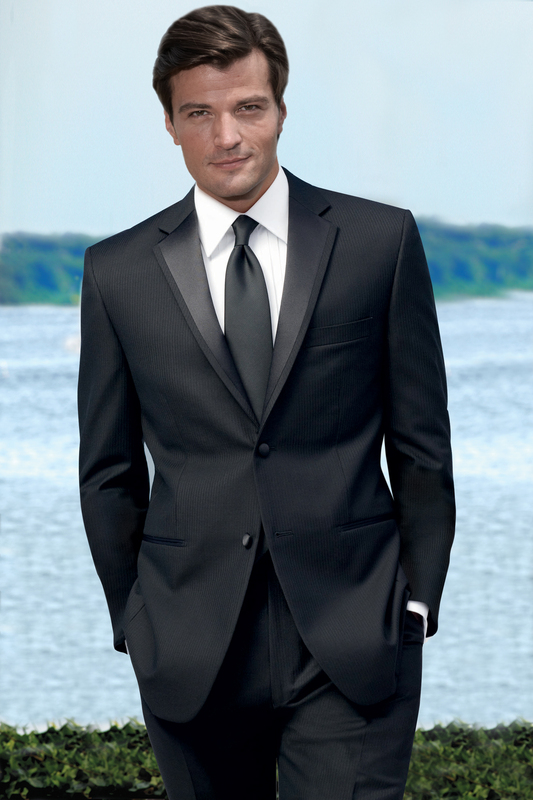 The Perry Ellis Madison Black Tuxedo is sure to please for any occasion! 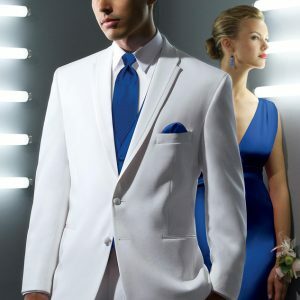 Crafted from Super 100’s fabric, this tuxedo coat features a single breasted, 2-button front enclosure, notch lapels with a satin self-edge (which is all the rage right now), and side-vented. 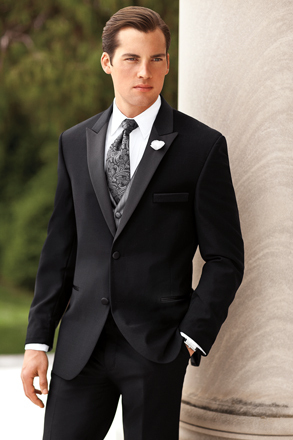 The matching trousers are flat front without any satin down the side of the pant leg.